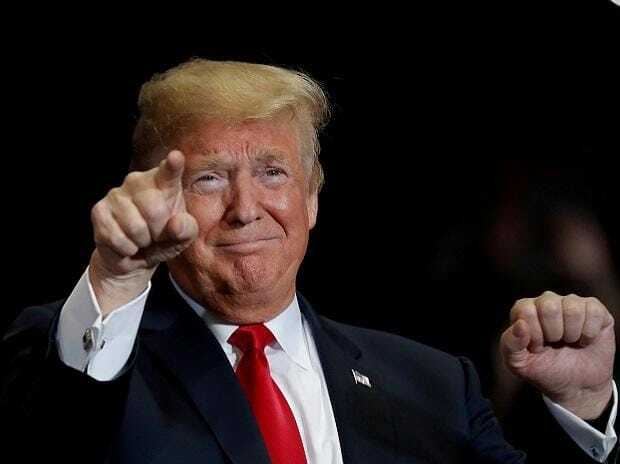 US President Donald Trump on Monday signed into law a legislation aimed at enhancing America's leadership in the Indo-Pacific region, strengthening multifaced ties with India and calling out Chinese actions that "undermine" the rules-based international system. Recognising the vital role of the strategic partnership between the United States and India in promoting peace and security in the Indo-Pacific region, Section 204 of the Act calls for strengthening and broadening of diplomatic, economic, and security ties between the two countries. The Indo-Pacific is a biogeographic region, comprising the Indian Ocean and the western and central Pacific Ocean, including the South China Sea. In a statement, Trump shared the objective of the Congress with respect to maintaining the strength and security of the United States, but did not guarantee to abide by the effort of the Congress to dictate the policy of the US in external, military, and foreign affairs, or to require the executive branch to undertake certain diplomatic initiatives with international partners. The Act reaffirms its commitment to the New Framework for the 2005 US-India Defence Relationship, Defence Technology and Trade Initiative launched in 2012; the 2015 Joint Strategic Vision for the Indo-Pacific and Indian Ocean Region, and 2017 Joint Statement on Prosperity Through Partnership. Describing India as a major defence partner, the Act says this designation institutionalises the progress made to facilitate defence trade and technology sharing between the two countries, elevates defence trade and technology cooperation to a level commensurate with the closest allies and partners of the US. It also facilitates technology sharing including license-free access to a wide range of dual-use technologies, after taking into account national security concerns; and joint exercises, coordination on defence strategy and policy, military exchanges, and port calls in support of defence cooperation between the two countries, the Act says. Such a quadrilateral dialogue, it said, is vital to addressing pressing security challenges in the Indo-Pacific region in order to promote a rules-based order; respect for international law; and a free and open Indo-Pacific, the Act says. According to the Act, it is the policy of the US to develop and commit to a long-term strategic vision and a comprehensive, multifaceted, and principled United States policy for the Indo-Pacific region that secures its vital national security interests and its allies and partners; and promotes American prosperity and economic interests by advancing economic growth and development of a rules-based Indo-Pacific economic community. "The core tenets of the US-backed international system are being challenged, including by China's illegal construction and militarization of artificial features in the South China Sea and coercive economic practices; North Korea's acceleration of its nuclear and ballistic missile capabilities; and the increased presence throughout Southeast Asia of the Islamic State and other international terrorist organisations that threaten the United States," it says.